1 – A logo must always reflect the workings of the company. 2 – A logo design should always make use of a symbol. 3 – Logo designs should always follow the traditional industry styles. 4 – A logo design has to be everlasting or timeless. 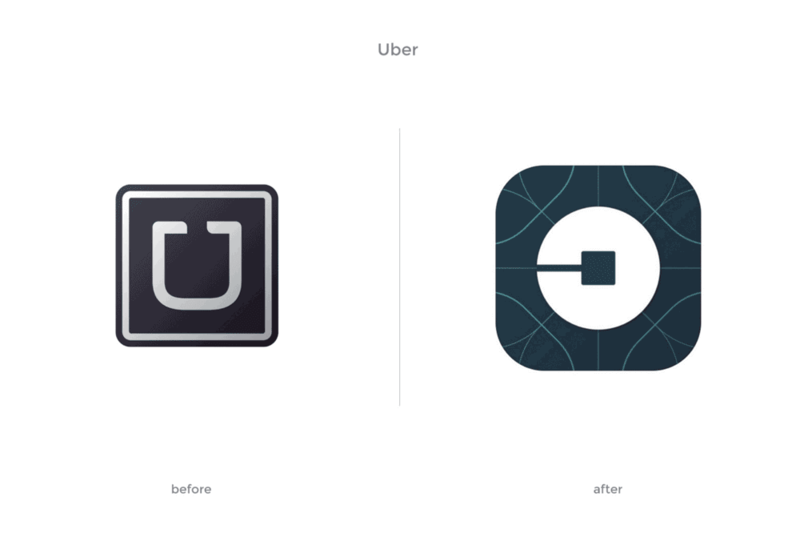 5 – A logo has to be likeable by all. 6 – A logo is the least important aspect when it comes to branding. 7 – One should have a perfect logo before they can start marketing. 8 – A great business logo can take the business to dizzying heights. 9 – Customers will start flooding in once a perfect logo is created. 10 – A fantastic logo will make the customers love the brand. 11 – Logo design is easy. 12 – There is no need to hire a professional designer for designing a logo. 13 – Any logo design can work for the company. 14 – The design of the logo should be complicated. 15 – Making logos is an expensive affair. 16 – Designing a logo does not involve creativity. 17 – Logos can be designed using clipart. 18 – A logo for the company must be similar to that of the competitor. 19 – Logo Design is random. 20 – Every logo must have some hidden message. Before we talk about the myths of logo design, you need to understand that logos are something which has to be simple, but convey the essence of the brand, in such a way that it resonates with the end customers. However, this essence may not always be right, even if one has a substantial marketing budget. A logo may not be timeless, but still, it has to be distinct! Simply put, there is no standard template for logos. It entirely depends on the creativity of the team and the business owner who takes decisions on the message the company should convey. As this trend for creating a brand identity goes on, logo design has started becoming mainstream. This in return has created multiple designers offering their trade to others. However, just like any other business, this field too has both honest and not so honest people. Hence it is essential for one to clear off some myths of logo design. Though, as a part of branding, it becomes more natural, a logo may not always reflect what a company does. A logo can be anything, as long as it reflects the ethos of the company. In fact, these days, creative artists are encouraged to create a logo unique to the working of the company, which would help create a higher recall value for the customers. The best example for this is the logo for Starbucks or Apple which in no way reflects what a company does. Not all the companies use symbols as a logomark. Sometimes a symbol presented in the form of a logo becomes quite ubiquitous and more memorable than the name of the company. The other times, it is just a restraint. A symbol must be used as a logo only when something important to the company needs to be represented. Some of the examples of famous brands not using symbols include Microsoft, Facebook, Sony, Google, Yahoo, etc. When one thinks of real estate logos, a feeling of boredom can creep in. Real estate companies commonly use a house, tree, hill or sunset to represent their brand! Hence to differentiate oneself from the competition, it is important to innovate. Moreover, that can be done by using different elements, say like the sea which is used by ‘Seaside condominiums’ to refer to their seaside homes. This differentiation helps kill the monotony, thus presenting a fresher image. As the saying goes, ‘There is nothing permanent but change’. As the brand ages, to offer newer things or to newer segments, every brand changes. Moreover, as and how it changes, its logo needs to change, to bring in a fresher perspective. Very few brands currently have designs which are timeless. Nearly all other brands have changed their logo, to cater to a broader audience. Some of the examples of include, Nike, Xerox, IBM, Shell, Coca-Cola, etc. One of the most common misconceptions is that a logo has to be liked by everyone. However, this is entirely not true. As long as a product delivers what it is supposed to offer, the aesthetic beauty of the logo does not matter as much. A logo should be appealing and good enough for the brand it represents, even if it means it is disliked by everyone. The example of this is Bacardi. Bacardi has an ugly black bat as its symbol, and despite that, it is one of the most well known white rum makers in the world. Same goes for Uber whose logo had caused massive outrage but is the world’s most hailed cab service. When someone says this, it can be assumed that he or she knows nothing about branding. One needs to invest money in creating a good logo for the company. This can be done by hiring an excellent creative designer. Some of the most successful companies today had logos which were poorly designed. Take the example of Apple. Apple’s first logo had Sir Isaac Newton sitting under a tree having an apple hanging over his head. This image was wrapped using the ‘Apple computer co’ font making the logo look detailed and intricate. However, despite the poor design of the logo, the company achieved success, because the product they offered was incredible. Later on, as time passed, they started improving their logo. Though logo designs are essential, they are not the only thing that the company should worry about. In fact, they should focus more on the quality of service and the product they offer to the customer. The logo design alone won’t help one achieve success. It is an essential aspect of a business, but not the only thing that the company should be obsessed with. A business owner may feel great and highly satisfied with his/her logo; however, without proper branding, marketing and sales, the customers will not buy the product. Hence there is no question of customers flooding in. An excellent logo would surely be appreciated by the company. However, it will do nothing to make the customers love the brand. It is the product and the service which defines how much your product is loved or hated. If a product is good, even if the logo is terrible, the customers will love the brand. However, the vice-versa to this may not be true. The perfect example for this is the example of London Olympics. The logo was not great, but, the brand Olympics is loved by one and all. Nothing in this world is simple. Everything takes effort, and everyone needs to work hard to create something worthwhile. The same goes for graphic designers who work hard to make a logo that looks creative. While creating a detailed logo, a designer puts in a lot of time and attention. In fact, designers spend countless hours working on creating something unique. Hence, their work should never be underestimated, underlining this fact that logo designing is easy. Again, creating a logo is not easy. Logo design can be quite an intricate task and requires a lot of creativity and patience. Had it been simple, there would not have been courses available for graduation and post-graduation, when it came to designing! It would not be the wisest decision to save money when it comes to logo designing. Logos are essential, and they signify the company. Hence, one can just not go for any logo. A logo needs to be well thought out. Besides, there are copyright issues as well, and they cannot be copied from someone else. With a generic logo, the target audience may not be able to associate with a brand. When it comes to logo designs, some of the best ones are those which are simple, but unique. With simple logos, the customers can connect to the brand in a better way. Besides, the less-complex logos give out the message a company is trying to convey more simply. Simply put, a logo need not be a work of art. It needs to be effective. The best example of this is the logo of McDonald’s which is a simple ‘M’ or that of Facebook. Logo designs are something which needs to be constructed from scratch. Logo designing requires hard work and takes time. As a result of this, graphic designers charge well! However, this may not always be true, and the cost entirely depends on the complexity of a logo. A simple logo may not cost a lot, and may well serve the purpose. Most jobs require creativity, but jobs like logo designing need it all the more. The more creative the graphic designer, the better are the logos and clearer is the message, the company is trying to communicate. Clip-arts are designs, illustrations and icons which are premade. For a brand or a company to standout, clip-art at all costs must be avoided. Clipart may make a logo seem similar to other brands, and it may end up violating someone else’s copyright – which may result in financial loss. A good logo design should be fresh, unique and be constructed from scratch. When a logo for a company is similar to that of the competitor, it does more harm than good. It helps the other brand grow, as people would associate the current logo to the competitor’s brand. Every company needs to identify what it wants to communicate and then design its logo. The best example of this is the logo of McDonald’s and Burger King. Even though they are competitors, their logos are different. Same goes for dominos and pizza hut. Creating a logo is not random. Every logo has much thought put into it. A logo defines a company, its target market or its goal and hence, it just cannot be random. Much research goes into making a logo. Every colour, pattern and font has a reason as to why it is there. The hidden message in a brand adds merely to its novelty factor and in no way describes the meaning the company is trying to convey. Hence, it is not necessary that a logo should carry a hidden message. These are some of the top myths of logo design to be aware of. However, the owners must understand that just the logo is not sufficient, but it also requires good marketing. Along with marketing, a brand should also have a responsive website. A brand should also invest in good social marketing. One of the ways for social media marketing and website construction is WordPress. However, to complement the logo, a website cannot always be a simple one. It should make use of themes, which convey the message in cognisance with the logo. For example, if your brand talks about fitness, you should use the best fitness WordPress themes to compliment your logo. These are some of the things one needs to keep in mind while creating a brand in general, and a logo in particular.